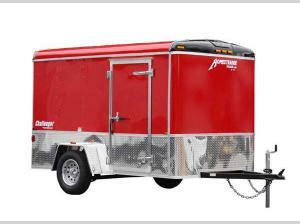 For a quality unit that you can trust, you need this Homesteader Challenger enclosed cargo trailer! With its aerodynamic styling and seamless aluminum roof, this trailer will easily glide down the road behind your vehicle and only requires a 2" hitch ball to attach. 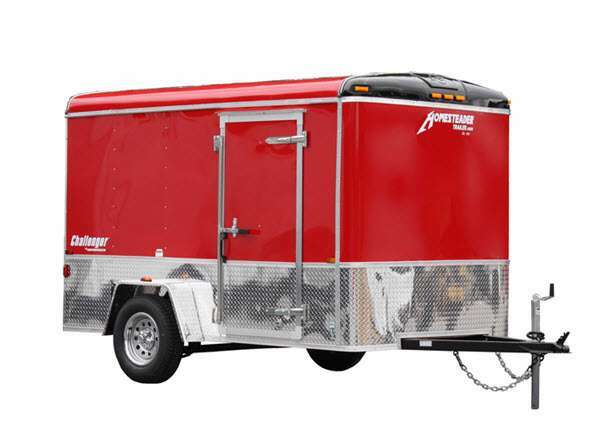 Whether you are moving across town or hauling materials to a job site, this trailer will provide an exceptionally sturdy base to get you there with its all-steel framed body and 3/4" exterior grade plywood floor. You will also appreciate the interior light that has been included so that you can clearly see everything you've loaded into the interior no matter what time of day it is. The Challenger enclosed cargo trailer by Homesteader Trailers is a unit that has been built just for you, and with over 100 customizable options available, your Challenger truly will be one of a kind. Whether you have chosen to alter the door size, roof vent, ramp door, dome light, or exterior color, you will always find the Challenger to be a sleek and durable trailer ready to protect even the most precious cargo. With the Challenger, you even have the option to add an air conditioning unit which will broaden your scope of transporting abilities by allowing you to carry temperature-sensitive items. You can also opt to adjust the front of the Challenger with a Vee-nose that will replace the standard design and create an even more aerodynamic structure.